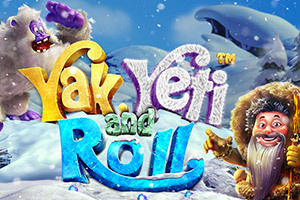 Overview: Yak, Yeti and Roll is a 5 reel 20 Payline cascading reel slot with a prize trail feature, cumulative cascading multipliers, wild symbols, scatter pays, a free spins feature with multipliers, cash awards, and a double up minigame. Game pays Left to Right. Yak the Eskimo has redesigned the traditional reindeer-driven sled to traverse the snow in style while his Yeti pal uses pedal power to propel them forwards. Every time a cascade triggers, the spiked wheels of the snowmobile gain traction, and the unlikely pair advance even further along the trail unearthing frozen treasures as they go. These range from instant payouts to cumulative multipliers that apply to the next cascade win. 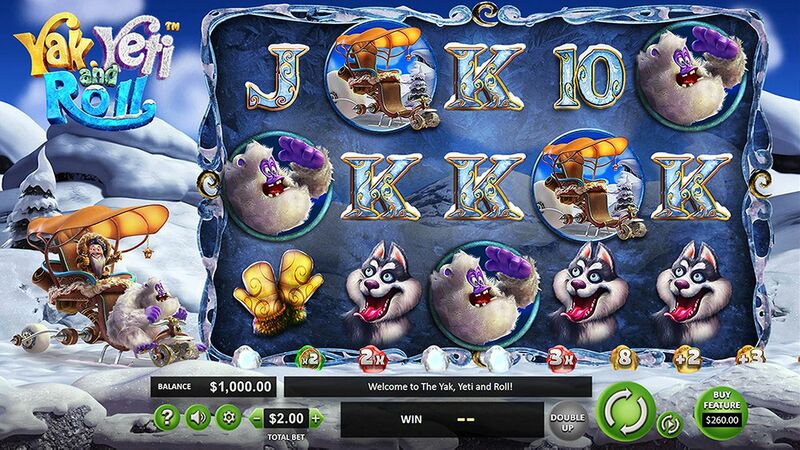 Yetis can stand in for any other symbols and the Eskimo scatters pay an instant award when two or more appear.